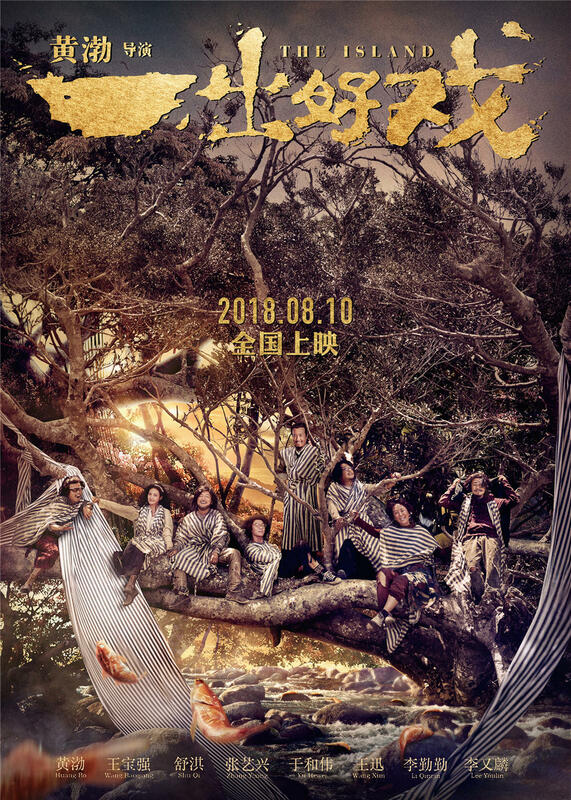 In his directing debut The Island, Huang Bo is Ma Jin, a humble worker who pines hopelessly over his colleague Shan Shan (Shu Qi), and dreams with his childhood friend Xing (Zhang Yixing) of winning the lottery. One day, while on a sea-faring team-building trip with his co-workers, he realizes that he just won a whopping 60 million RMB at the lottery. 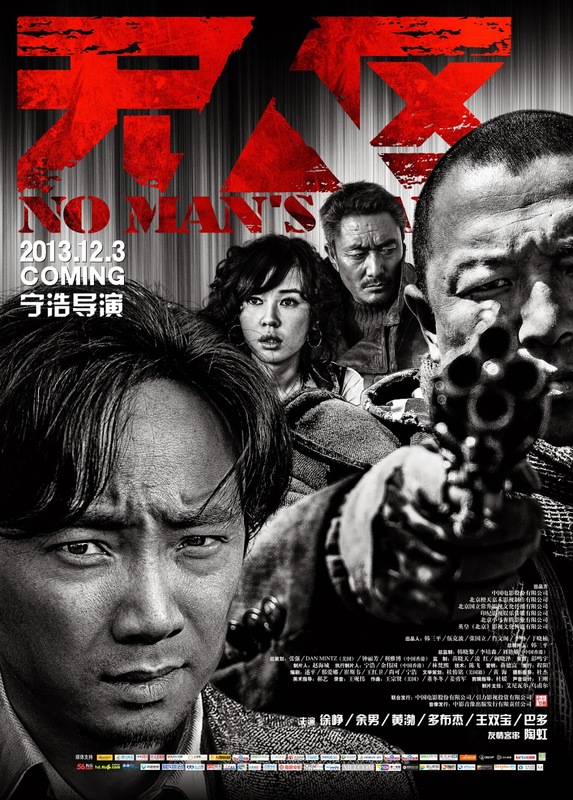 But shortly after, a massive asteroid grazes planet Earth, unleashing a fierce tsunami: the group is left stranded on an uninhabited island island, with Wang (Wang Baoqiang) emerging as the de facto – and abusive – leader in the survival effort. But as the floating carcass of a polar bear alerts them to the fact that the world as they know it may not exist anymore, the small group must try to organize a new society. Set in the near future and in a fictional country called T Nation (the ‘T’ probably stands for Thailand, where the film was shot), Leste Chen’s Battle of Memories imagines that a technology has been developed that allows people to have select memories removed from their brain (à la Eternal Sunshine of the Spotless Mind) and stored safely in places called Master of Memory Centers. Successful novelist Jiang Feng (Huang Bo) goes to the only center in Asia that can perform this procedure: he is divorcing his wife Zhang Daichen (Xu Jinglei) and wants to get rid of the memories of how they fell in love. But when his wife tells him she won’t sign the divorce papers unless he has these memories restored, he goes back to have the procedure reversed (he will then only have 72 hours to have them deleted again, this time inevitably forever). But Jiang Feng quickly realizes the memories that have been restored in his brain, are someone else’s. Someone who seems to have killed two women, both of whom he seemed to love dearly. 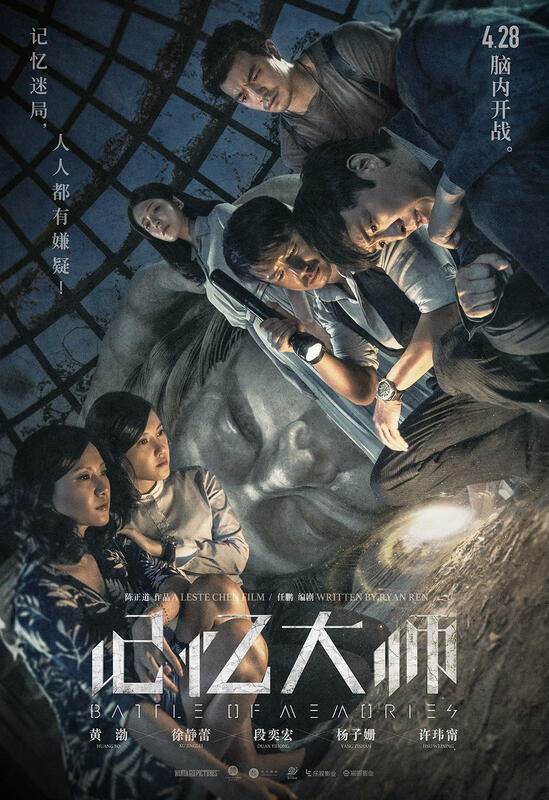 Haunted by these foreign memories, Jiang discerns that they are connected to a recent murder case, and he shares his uncommon and still muddled knowledge of the killer’s psyche with the police detective on the case, Shen Hanqiang (Duan Yihong). But if he has the killer’s memories, then does the killer have his? 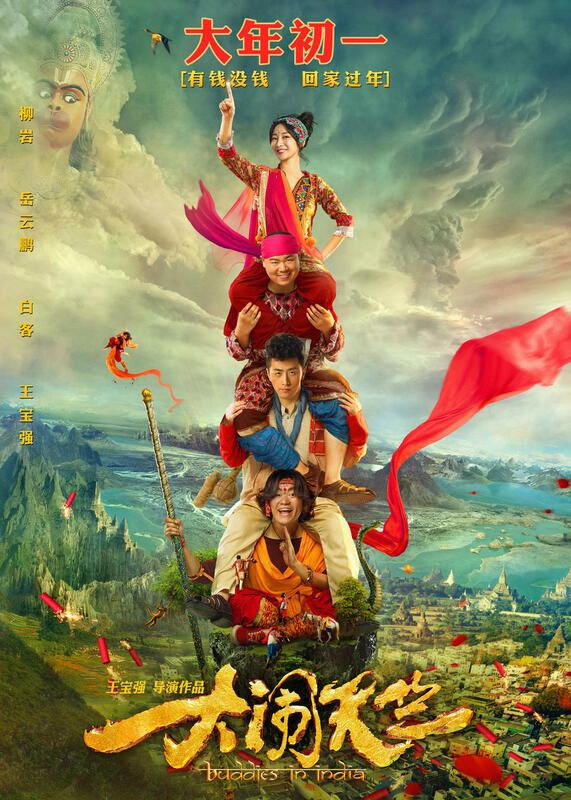 With the flood of Monkey King film adaptations in recent and coming years, it is refreshing to see one attempting a radical spin: Wang Baoqiang’s directorial debut Buddies in India transposes the myth to nowadays, following an agile and mischievous monkey trainer called, of course, Wu Kong (Wang Baoqiang) who refuses to sell his house to make way for a vast urban construction project. 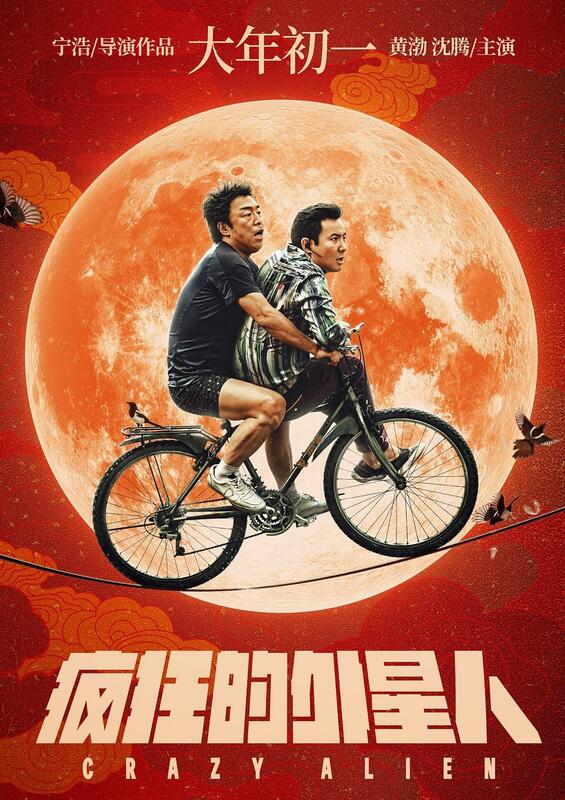 As Tang Zong, the chairman of the group in charge of the project, feels his end is near after a serious heart attack, he instructs his son Tang Sen (Bai Ke), a lonely geek, to go get his will in Nandu Gaun, India. At the same time, he asks Wu Kong to accompany Sen as a bodyguard, in exchange for which his house will remain untouched. 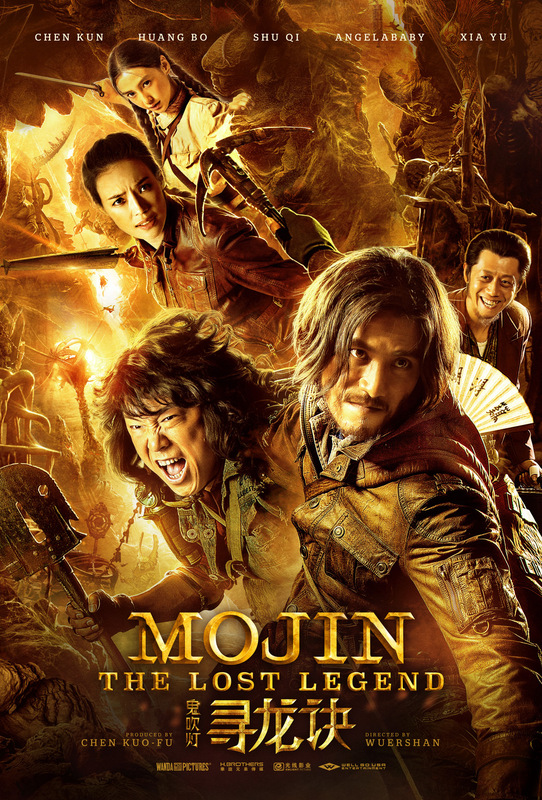 Wu agrees, and the two set off for India, where they are helped by Zhu Tianpeng (Yue Yunpeng), cross paths with Wu Jing (Ada Liu), a woman once scorned by Sen, and are hunted by two Chinese assassins hired by Tang Sen’s devious uncle Chasu (Huang Bo), who wants to inherit the group instead of his nephew.